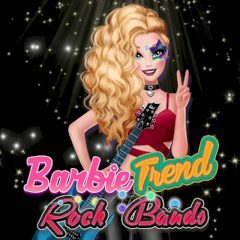 Barbie loves rock and she want to dress up like her favorite musicians. Help her to choose an outfit! Barbie wants to have a good time at the rock concert. She needs your help to look beautiful and be a good example.